It’s only been a few days since the end of our 2019 Winter Retreat, but as everyone recuperates from the eventful weekend, catches up on studies and heads back to work, here’s a few takeaways from our time at Camp Blessing. Friday, many of us kick started our annual retreat with a dinner and message from Pastor Manny Kim, our retreat’s guest speaker from SoCal. As we progressed through Luke’s account of Jesus’ call to the first disciples we considered how God invites us into an abundant life founded on a genuine relationship with Him and how such a relationship relies on our perception of God and ourselves. Later that night we loaded our bags and headed to the retreat site, topping off the night with snacks before resting up for the full day of retreat ahead of us. Saturday, we continued to explore the impact of our self-perception through the books of Luke and Matthew, where the examples of the “rich young ruler” and Zacchaeus permeated our belief that a good image equates to inherent goodness. As we heard the testimonies of different members, this notion deteriorated with each account demonstrating our hesitation of honest consideration for who we are and how we naturally want to live out our lives. 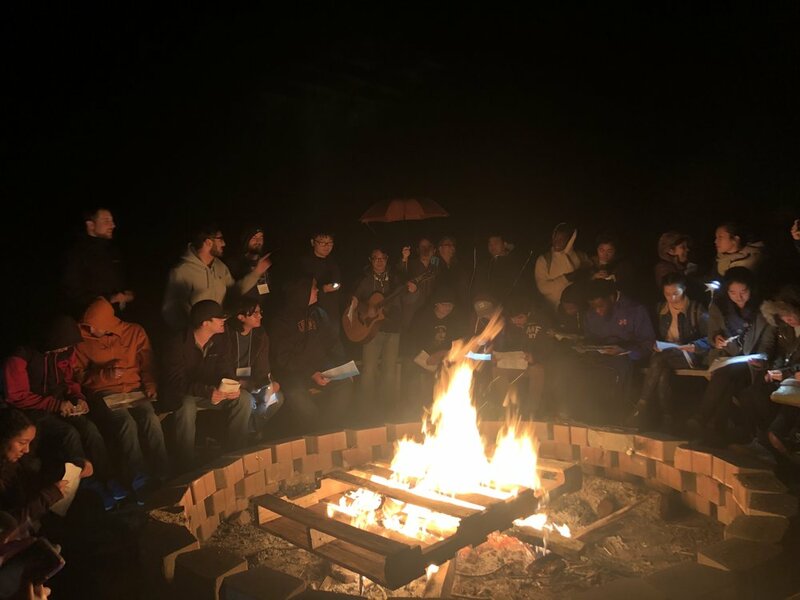 Following a long day of thought-provoking messages and class games, many of us braved the drizzling rain to close the night with a few campfire songs. Although the rain soaked through the lyrics sheets and our clothes, we found ourselves singing and dancing to one campfire song after another. As the retreat came to a close Sunday … (complete from revelation to reconciliation with God through Christ). No doubt, after a jam packed weekend of messages, testimonies, sports and a rainy, yet joyful, campfire, our 2019 Winter Retreat offered us a fresh perspective of how our relationships with God and with other people depend on an honest view of ourselves. And with the rest of the semester ahead of us, who knows how we’ll be called to live out Christian life! Join us next year! Older PostWinter Break: Be. Engage. Do.